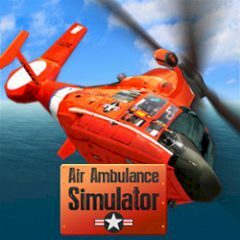 In this game you will have to drive a helicopter and save all people on the island! They are in jeopardy and you are the rescuer. Be ready to avoid any obstacles and save them all. Drive this vehicle and you will be not disappointed. Good luck to you! This is a unique helicopter flying game, where you have a great chance to improve all your skills ad drive the real helicopter. Oh no! People are in trouble and the only way of reaching them is from the air. You must fly through the sky and reach your aim. Whether your patient has a broken leg, or a fractured skull.. or even a deadly disease. You are the only one, who can save them! Just use all tips and make everything to help all these people. Are you ready? Then go ahead! If there are no other useful things to do, then fly!